I had the larger watch and it broke so i was looking for the same one. I found this and I should have read that it was the mini version. Because that is what it is . But i think I will keep it. 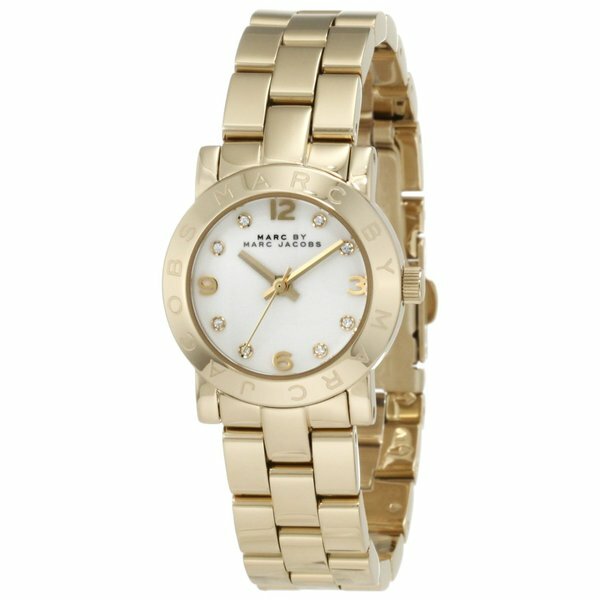 Combining the sleekness of goldplated stainless steel and traditional style, this Marc Jacobs women's watch features gold numerals and crystal accents. With its white dial protected by a mineral crystal, this watch runs on a quartz movement. "As far as the dimensions on this watch: how many mm is the face of this watch? I don't understand 5 in. X 5 in. X 5 in." Hello 2flowersdos, the case dimensions are approximately 26 mm long x 9 mm thick. Thanks for shopping with us! A.S.